This free printable back to school matching game is a fun boredom buster for your home or classroom! 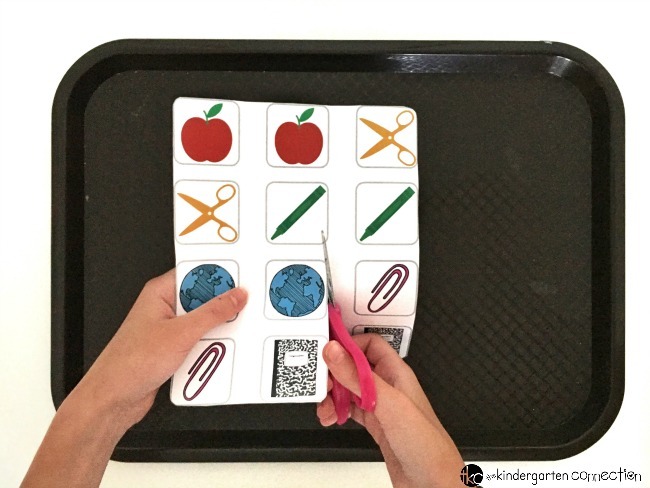 The game can be downloaded and printed for an easy way to practice early scissor skills, develop memory skills, and work on important fine motor skills. 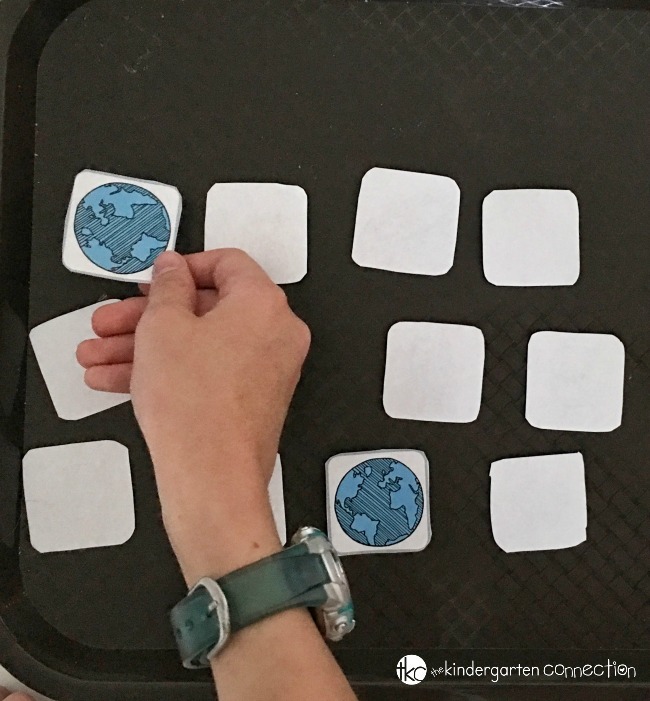 This would be a great ice-breaker activity for students to play together in the beginning of the school year! Download the free printable (below) then print it out onto a sheet of thick cardstock paper. Next, invite your students to use safety scissors to carefully cut around each matching card. Younger students may need a bit of grown up help with this, so pre-cutting the matching game into long strips would make it easier for them to cut each card. Once all the matching pieces are cut out, it is time to play! Divide students into groups of 2. Arrange the cards facing down. Students can take turns choosing two cards to see if they make a match. If a match is made it is 1 point. Set the pair of matching cards to the side. If no match is made, no point is given and the cards go face-down to their original position. After all the matches are made, the player with the most points wins! Set a timer to see how quickly you can match up all of the cards! Pre-cut the cards, and arrange cards face up before matching. Print out 2 or more copies and create a huge game matching game with the cards facing down. Follow instructions for the 2 Player Option above, but take turns with 3 or more players. Ready to play? 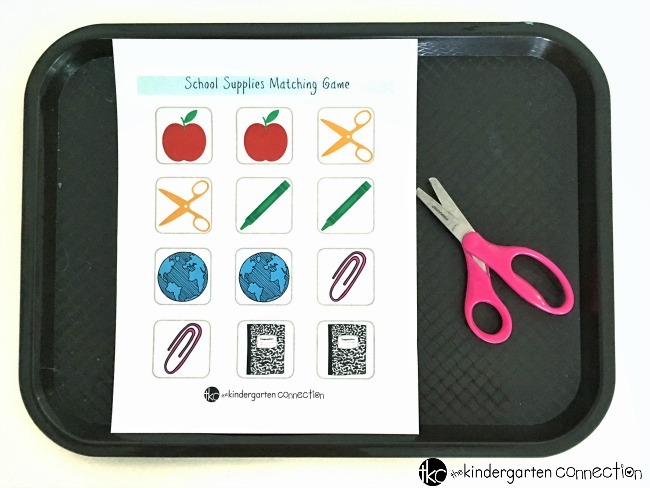 Grab your copy of the free printable back to school matching game here! 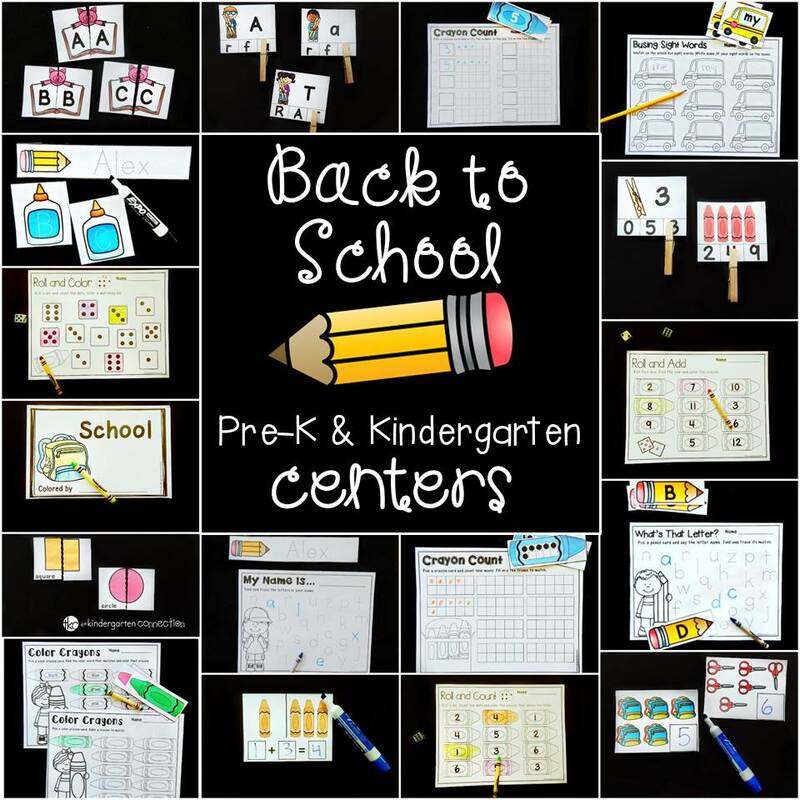 Then, for TONS of Back to School fun, hop over and grab our Back to School Math and Literacy Centers! Thank you so very much for making this game! I printed your Teddy Bear game for my granddaughter who is working on matching upper case to upper case letters! Please make more of these types of games if you can!